YouTube is now the second largest search engine online. Did you know 80% of the content consumed online is video? Learn how to start and grow your YouTube channel from YouTuber star Danna Chavez. Don’t forget to bring all your video and YouTube questions! 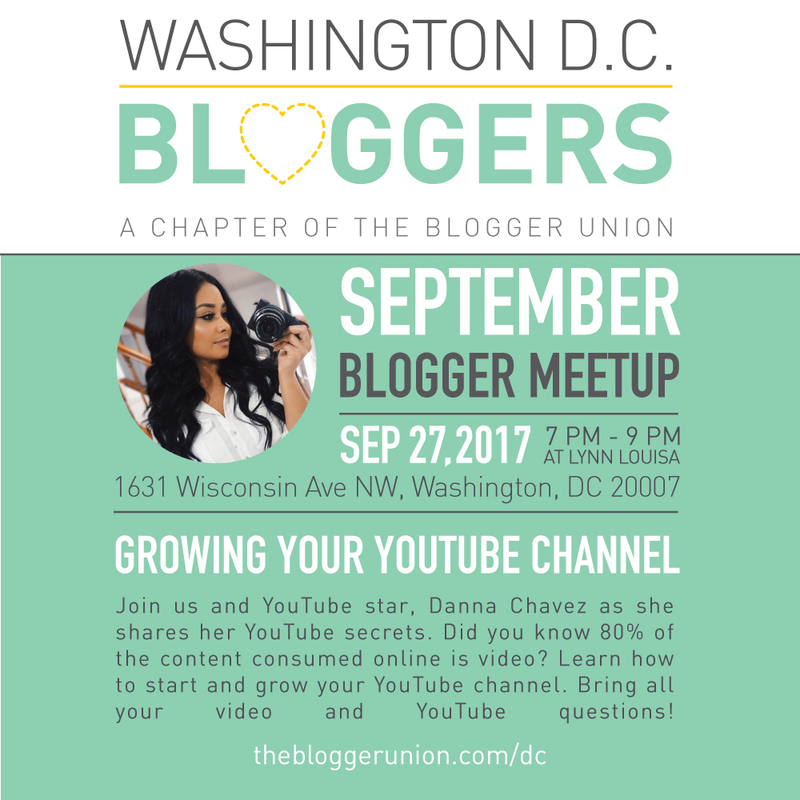 Thank you to Lynn Louisa for hosting the DC Bloggers September Meetup.